Phase 2 Now Open. AWESOME BRAND NEW TOWNHOMES! 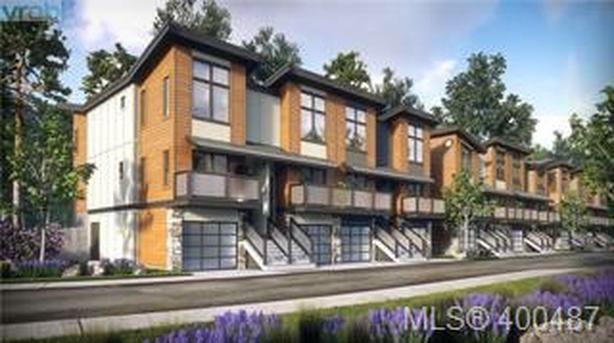 Parkland Townhomes is a development boasting 28 Westcoast Contemporary designed homes. These stunning homes feature butterfly style roofs & 11ft ceilings in the upper level beds while the main floor will enjoy engineered hardwood, high end finishing's, a 5pc SS appliances package, quartz countertops in the kitchen & all bathrooms as well as modern plumbing & light fixtures. Choose from a pallet of colours to customize your future home. Each unit offers 3 beds, 2 skylights, patio, 2 car garage or a 1 car garage + rec room. Showroom has dark colour palette. Homes have a light and dark palette. Floor plan may vary.